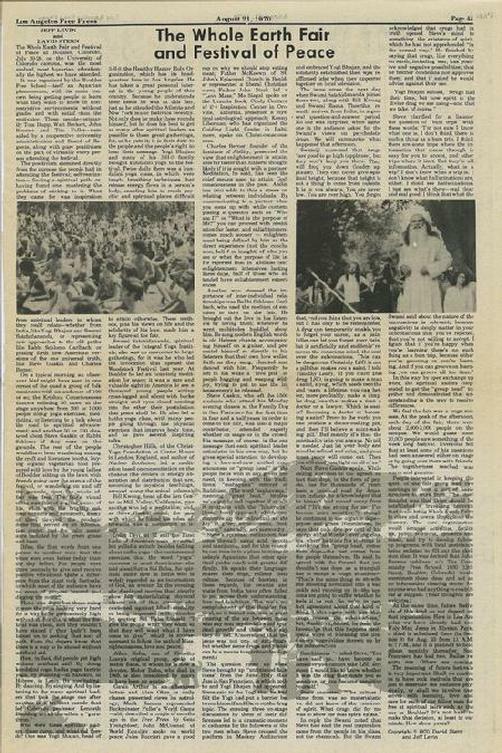 Original full page newspaper article on The Whole Earth Fair in 1970. 11"x17" full page newspaper ad. Original newspaper article, not a copy or reproduction.